« Siesta Summer Bible Study 2012 Official Launch and Registration! Gate C door will open for evacuees to enter at 6:00 p.m.
Access to available seating will be on a first come, first serve basis, but we anticipate having plenty of room. We are asking evacuees with access to the internet to RSVP with us atwomensevents@lifeway.com but this is not required for entrance. The event is general seating for individuals and small groups; large group seating is reserved. Samaritan’s Purse will be on hand to provide water at the doors to evacuee attendees as supplies last. NOTE: Any attendee who has paid for a ticket but who has lost their home to the fires will be refunded the cost of their ticket and they will be our guest. Refunds will be processed through our registration office next week. Other Evacuees who have already purchased their armbands may enter through the main entrance. We come to you with heavy hearts regarding all the devastating fires happening in Colorado Springs this very minute. The pictures alone are chilling and sobering. We serve a God who is into every detail of our lives, and He alone knew that there would be a Living Proof Live scheduled in Colorado Springs the very same weekend these fires would come screaming down the beautiful mountainside. At this moment, LifeWay still has the event scheduled. If anything further develops, we will update and post that information on our website here. Beth is flying out today, along with the rest of the team, as they have plans to minister to the people of Colorado Springs. Please pray for them. Please pray for their safety. As we ask the Lord to pour out His Spirit over the arena, we’re asking that He would pour out the rain in that city as well. They desperately need it. We are so grateful to Samaritan’s Purse, who partners with LifeWay at each Living Proof Live event, for designating 100% of their donations at this weekend’s event to the city of Colorado Springs. They are already on ground for disaster relief, but this will be a huge blessing to them. If you feel led to give in this area and help with disaster relief, you can do it without even attending the event. What you would need to do is text RELIEF to 85944 to automatically donate $10. You can also visit their website for volunteer opportunities or find out how to get help at www.samaritanspurse.org. We are praying, ladies. Those of us in Texas know the devastating effects these fires can cause as we just dealt with the same thing a mere eight months ago. Join us in praying for a miracle? Miracle rain? This entry was posted on Thursday, June 28th, 2012 at 1:15 pm	and is filed under Uncategorized. You can follow any responses to this entry through the RSS 2.0 feed. You can skip to the end and leave a response. Pinging is currently not allowed. Praying for those affected by the fires and than rain comes. Praying for Beth, Travis and the rest of the team as they minister. This is so awesome, I am crying! I am praying for all of you and those affected by the fires! I keep praying for rain in Colorado and for everyone affected by this tragedy! I also can NOT wait to see the music video of the conference! I know everyone will feel God’s presence and can’t wait to see all the pictures of it! I am so glad you went as planned!! I will be praying for tomorrows session. God bless ALL of you!! Thank you dear LPM for being brave in Christ and ministering to our dear Colorado friends. For all you wonderful people praying, the event ROCKED! So thank you for your commitment and time you dedicated to us in Colorado. God’s presence was so strong in the arena! It was amazing. A group of us from a Pueblo, CO Bible study went and it was wonderful. Beth always knows just what to say and is so sincere. The event is exactly what the local ladies needed to get the “fire in their bones” to help in whatever way we can! Thank you all who had any part in putting this weekend event together. I am on my sixth Beth Moore Study and cannot wait for her to come back to CO or the nearest state! God Bless you all and thank you Living Proof for your donations to the fires!!! What an amazing rain poured into us this weekend. Can’t wait to see what beauty will rise from the ashes…He will see us to a glorious finish. Blessed to have been a part of this event. I have been so disappointed in myself for giving up on something that God called me to do…the Word this weekend to finish…to follow through was for ME! The loss of my 23 year old son-in-law one year ago on July 4th and then the birth of his son to our 23 year old widowed daughter in February had left me wondering if I would ever be happy again…Praise HIM! That precious child is the beauty that came from those ashes! As always, thank-you for your ministry to me and your faithfulness to speak the Truth in love! I so appreciated the care the team took to minister to the heart needs of those affected by the Colorado Springs fire. The incorporation of songs and prayers about rain were so joyful – giving us a sense of hope in God’s awesome power. Beth’s sensitivity to their hurts and the description of the Moore hurts around fire let us know she loves us and reminds us that God brings beauty out of ashes. I left feeling so hopeful, joyous and uplifted. I can’t imagine how much extra work that required to change the focus for us, but know that your efforts served as a healing balm. Beth, from the depths of my heart I thank God and praise Him for bringing you to Colorado. Hearing your message & with the power of Almighty God, I have decided to follow through and fight the good fight! You see, this past week I was about to give up my faith, because I am so tired and worn out and have not seen any victory in any of the little battles in my life. My own fire started last November 1st, 2011 when my husband moved out because he wanted a divorce because he didn’t love me anymore. The enemy has such a stronghold on my husband’s heart, soul, and mind. We have been married 21 years, 3 children, (21, 20 & 15 years), I have been a stay-at-home, we all attended church every Sunday, children attend Christian school, and we were all very active in our church. My husband even still attends church and is on the school board! I do not attend that church anymore because no one in the congregation has had the guts to tell him what he is doing is wrong! Even the pastor!! So sad. I nearly gave up my faith this past week, but in God’s goodness and perfect timing, a friend shared with me on Thursday that you were in CO Springs this weekend (tomorrow, Friday) and there was an extra ticket if I wanted to attend! Praise God!! God’s timing could not have been more perfect. I have been struggling to understand why God was not making anything happen in my marriage. (The divorce is not final, but we do have a court date of Oct 23rd and/or Nov. 8th of this year) Why He hasn’t done a stirring of the Holy Spirit in my husband’s soul to show him the devastation & pain he is causing, WHY!?!?! Do something God!! Has been my heart’s cry. This is the most devastating thing I have ever, ever, gone through in my life and I have experienced depression, a broken back, a daughter’s teenage pregnancy & growing up with a very dysfunctional home (too many details to share). Your words have given me pause to regroup, reset, re-examine my tired, worn-out self that wants to give up. I am not going to give the devil my faith!!! He cannot have it! My Lord and Savior Jesus Christ is not finished with me yet! I have grown so much and been drawn so much more closer to God during this storm, there is NO WAY the enemy is taking that from me!!! I am going to hang onto my faith with everything I have got. I also have such a great support system of family and friends to help me. He is stealing my marriage, but I will not give him my faith! He has greatly wounded me by getting my marriage but he will not get my love for Jesus! This devastating fire in my life is consuming my husband and family and scalded me, but I promise with Jesus as my Lord and Savior, I will fight the good fight, I will finish the course, I WILL cross the finish line with My Faith!!! God bless you Gianna. I am praying Ezekiel 36:26 for your husband, and for our awesonme God to fill you with His comfort. Gianna – I encourage you to order Beth’s CD’s “Yet Will I trust Him”. It will encourage you so much. I went through something similar. I have a better life now! Trust Him even when you don’t understand…keep your eyes and focus on the Lord and not on your husband. Annoy Satan with your steadfast faith. God bless you. I’ll keep you in my prayers this week. Some of us would love to have a copy of the prayer Beth wrote and prayed at the end of “A New Finish” conference in Colorado Springs. Is it possible to obtain it somehow? I loved reading this and am so touched at the creative kindness that Beth and the LPL team are showing to the fire victims. PLEASE consider doing a more detailed post to let us know how things went and what sort of ministry opportunities occurred with the fire victims. I would love to know the results of the free attendance. Were many women able to go? Thank you for this sweet example of reaching out to the hurting! Thank you Beth Moore for coming to Colorado! It was such a blessings to be able to hear you speak. Not only were your words healing but so was that beautiful music. Thank you for sharing the story of your in-laws, how even after a family tragedy they were able to go on and be HAPPY! My sister died a long time ago and I feel like something shifted in me this weekend and maybe it is time for me to be happy too. Words really can not fully explain how moved I was by this event! Thank you from the bottom of my heart. God Bless! I was overcome by your graciousness in freely ministering to all those who have lost their homes in these devastating fires. It just restores my faith in humanity! What a wonderful conference in Colorado Springs! It lifted my spirit so much and humbled me like a child. I loved the motto of the conference; follow me=follow through. The sisterhood and comradeship that is felt among so many women at these conferences is amazing! I love Beth Moore and have traveled to see her several times and I’ve completed many of her studies and they always bring me closer to the Lord. Thank you Beth and Travis for such an uplifting time in such a distressed atmosphere. I came away blessed as I’m sure the fire victims did as well. I would love to see an update on how the even went. I know it’s only Monday, but the fire victims have been in all our prayers. It was an amazing event! Thank you Beth for an amazing messege and for letting God use you!! Love you so very much! This was the first time I have ever attended an event like this.It was so amazing. I don’t want to fear what the Lord has planned for my life. He is with me. He is my strenght when I am weak. I want to see the Finish. Thank You Beth and your amazing worship team. God Bless! Good afternoon from Stayton, Oregon. I found this Bible study rather by chance, I know Beth’s studies, and am very excited to be part of it. Now I just need to find the book. I listened to the introduction and I am very anxious to get started. Maybe you can point me in the direction of getting a book for the study?? Reading through the questions–#4 asks what specific challanges are before you ths summer. I am a caregiver for my mother and up until this summer I was going to college. I realized that she was getting weaker and unable to do certain things for herself, so I have taken on the chore to work with her on physical therapy this summer. I am feeling very challanged by this path and I am trusting the Lord to lead me on the paths that are His ways and keeping my steps steady according to His ways and His promises. The enemy has really been trying to mess with me in this process and he cannot win or my endeavors will be in vain. I trust the Lord to be my steady steps along the path I know He in instructing me to walk and He will make me successful. I am so grateful to have found this study for I do want to become stronger along this path I am walking. Because i am over 40, i know our little sisters will make it! There have been more times that i want to count or remember where i did not think i would “make it” and quite frankly didn’t want to “make it” anymore. I got very serious about reading the Word a number of years ago. I knew truth but knew if He was there in His Word, then i was going to be there every day to meet with Him…every day! It took me about a 1 yr. to get on the track. Now i can say…to His Glory…that i have missed reading my Bible/journaling what i have read….1 day in 26 yrs. ONE DAY i missed and it is all because of Him drawing me there each day…To HIS GLORY! I have not only survived but thrived and soared because i know His Word! 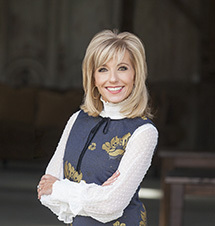 I heard about Beth Moore a couple of years ago through my little sister, who had had me listen and watch several bible studies of Beth Moores.She had touched my heart like no one else ever has! So needless to say I was overjoyed when we found out she was going to be at the World Arena in Colorado Springs! Both my sisters and I had purchased tickets right away and waited for our sisters weekend to start with seeing Beth Moore. My heart was so full listening to her words and how she brought the love of God into my heart that she had me crying almost thru the whole conferece! I couldnt stop! I wanted to meet & talk with her in the worst way and one day I hope I can!Thank you for being a part of my heart! Beth, thank you so much for coming to be with us during our time of need for healing from the devastating fire and now here we are again with this tragedy that I am praying and reading scripture trying so hard to have God continue to touch my heart with what is breaking His. I have two sons Robert and David, 25 and 21, they are the age of the shooter and also the age of the audience in the opening premier that they always attend. My heart is breaking for the Mom and Dad of James right now and also for the families of those who did not make it through. I can’t begin to comprehend what his Mom is going through right now however I know she needs all our prayers. God continues to bring me strength and work through me as I have come home to my husband Sam and my two sons after being gone for 11 years. I was in the world and was not walking with God or living a Christ-like life. Five years ago my son David was saved through FCA at his high school and we joined Sunrise Methodist Church together. We went on a mission trip to Galveston the summer before he was leaving for college and I was to become an empty nester not knowing that God had other things in mind. He filled me with 48 beautiful youth in our Church Family and my life just grew and grew and grew. God was there with me all the time just waiting. Two months ago I moved back home with my husband Sam who is a brand new Christian today and we study the word together every day. We pray together every day and God has given me a brand new life at the ripe young age of 55. I wanted to tell you a brief part of my testimony because I know you know my story and now that I am back with Christ as my number one in every aspect of my life, I can comfort those who are feeling so lost right now. I love how God shows me every day what is breaking his heart because He knows my strength and His love just comes pouring out of me to everyone I meet. I feel that connection with you and wanted to tell you thank you so much for continuing to follow Him even when we sometimes are not sure of what will happen. I know that Christ is here with everyone right now as we again pull together as a prayerful community. Please pray that God will continue to work His wondrous miracles through all of us for I faithfully believe He has a purpose even in this time of such tragedy.